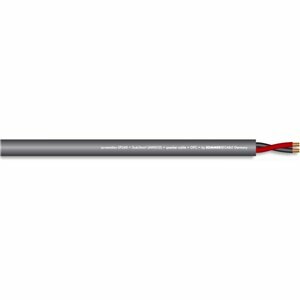 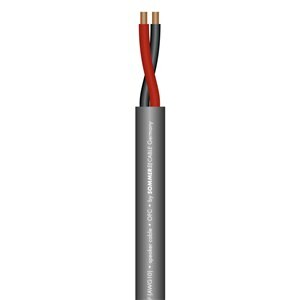 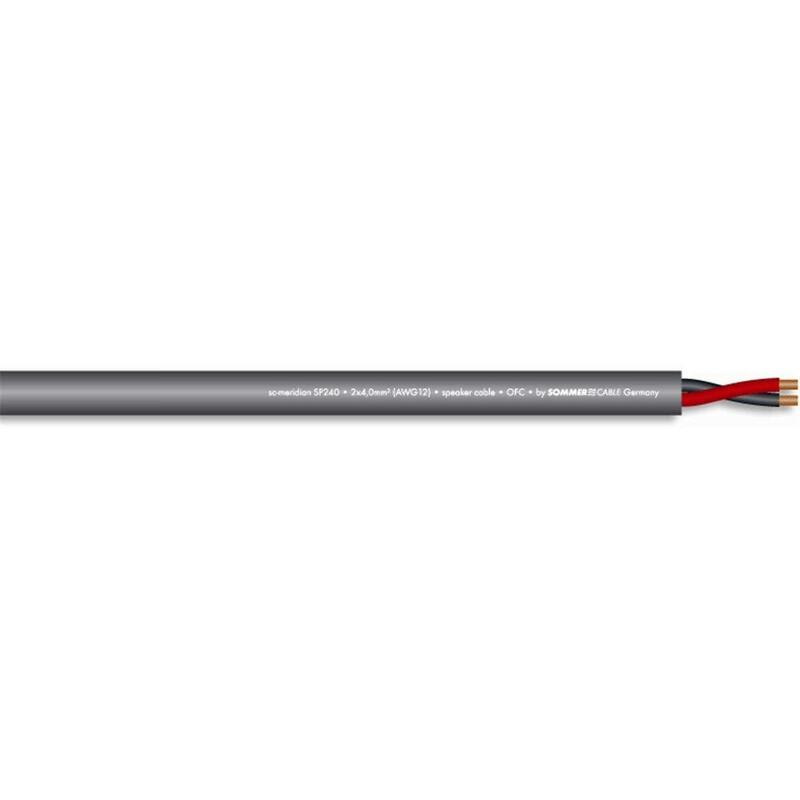 SOMMER MERIDIAN TWIN AXIAL SPEAKER CABLE GREY A highly flexible speaker cable with a matt rubber like jacket. 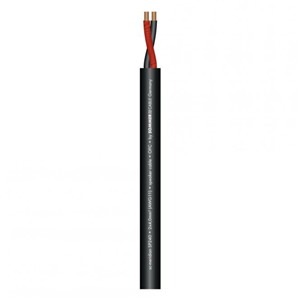 SOMMER MERIDIAN TWIN AXIAL SPEAKER CABLE A highly flexible speaker cable with a matt rubber like jacket. High bending cycles due to the dense stranding of the oxygen free cable. Conductors red and black. 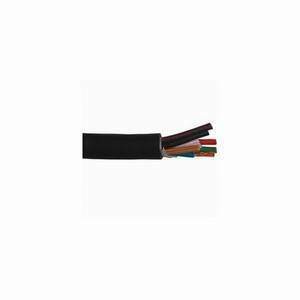 Black jacket.